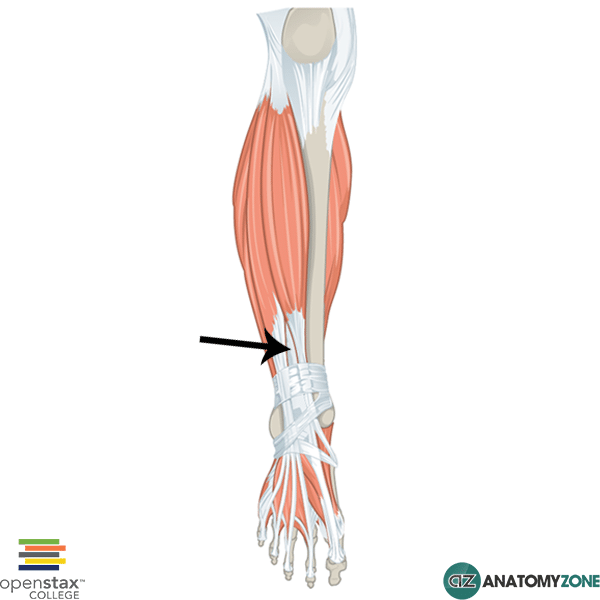 The structure indicated is the extensor hallucis longus muscle. The muscles of the anterior compartment of the leg serve to dorsiflex the ankle joint, extend the toes and invert the foot, and they are supplied by the deep fibular (peroneal) nerve. Action: Extension of great toe. Dorsiflexion of foot. Learn more about the anatomy of the leg muscles in this tutorial!